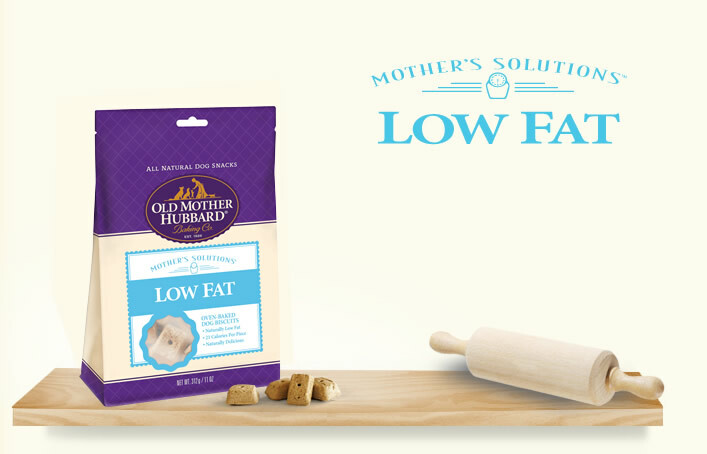 Our Low Fat recipe was developed as a delicious natural option for dogs that enjoy snacks but, are mindful about minimizing additional calories being added to their diet. Whole Wheat Flour, Oatmeal, Oat Fibre, Chicken, Cane Molasses, Dried Sweet Potatoes, Whole Dried Egg, Garlic Powder, Sea Salt, Dried Apples, Dried Carrots. Every dog is a little different, so optimal feeding amount may vary with age, size, activity level, breed and environment. Please use the information below as an initial recommendation only and adjust as needed. Keep a clean bowl of fresh water available at all times. Our Product Selector will help you find the right treat for your Dog.